Dr. John Stone is an educator and researcher in transportation systems, planning, and modeling. John is director of the NCSU Southeastern Transportation Center program, which is affiliated with the University of Tennessee, and he is director of the NCSU Civil Engineering Summer Practicum. Dr. Stone is a member of ASCE which recognized his accomplishments in transportation research and education with the Frank M. Masters Transportation Engineering Award. Dr. Stone is interested in transportation engineering and systems analysis, urban transportation and land use. 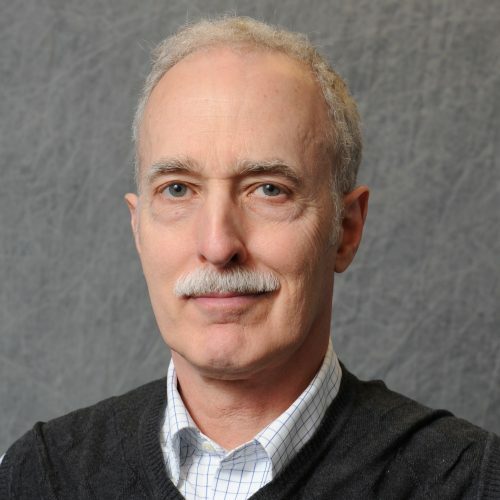 His past research projects include advanced aircraft, computer models for transportation planning, transportation systems evaluation, traveler behavior, environmental and community context sensitive design, transportation surveys, transportation benefits and costs, and transportation safety. Recently he has focused on truck traffic while leading projects to: characterize truck traffic throughout North Carolina; develop the first statewide transportation model for North Carolina; build a statewide truck traffic database for pavement design; and weigh very heavy trucks (132,000 - 1 million pounds). Sayyady, F., Stone, J. R., List, G. F., Jadoun, F. M., Kim, Y. R., & Sajjadi, S. (2011), Transportation Research Record, (2256), 159–168. Eom, J. K., Stone, J. R., & Kang, K. (2010), Transportation Research Record, (2157), 11–21. Han, Y., & Stone, J. R. (2008), Transportation Research Record, (2077), 148–155. Han, Y., Stone, J. R., & Huntsinger, L. F. (2007), Transportation Research Record, (1997), 24–34. Stone, J. R., & Stevens, D. C. (2000), In Transit: Bus transit and maintenance: Rural paratransit technology: Capacity and quality of service (pp. 71–78). Washington, DC: National Academy Press. Two English as a Second/Foreign Language instructors contracted by North Carolina State University will visit Jazan University in the Kingdom of Saudi Arabia to teach English to 40 undergraduate engineering students. The proposed dates for the summer program at Jazan University are from June 13-August 3, 2012 with classes scheduled to begin on June 16 and end on August 1, 2012. The purpose of the program is to improve the overall English language skills of the Jazan University students and to lay the foundation for the Summer 2013 program at North Carolina State University and future educational exchanges between the two universities. NCDOT Research Problem Statement 2403 addresses the need for basic data and analysis on the relationship between estimated axle load distributions provided by truck operators, actual axle load distributions, and the impacts of overweight ?super heavy? commercial vehicles on North Carolina bridges and highways. Trucks such as Goldhofer vehicles carry one million pound loads and may be 10 or 20 feet wide and 91 or more feet long. They may have as many as 16 lines of axles with each line having 8 to 16 tires to distribute the heavy loads to stay within NC axle load limits; otherwise overweight permits will not be issued. The State Bridge Management Unit in collaboration with the Oversize/Overweight Permit Unit and the NC Highway Patrol seek axle load verification data to substantiate the estimates provided by commercial operators. This project will develop a North Carolina statewide travel demand model for analyzing investments on the highway system. In December 1999 the USDOT awarded grant DTRS99-G-0004 to the University of Tennessee at Knoxville to conduct a multidisciplinary program of transportation education, research and technology transfer through the member universities of the Southeastern Transportation Consortium (STC). This NCSU proposal addresses the continuing educational component for the academic year 2007-2008. A Basic Ordering Agreement negotiated between the University of Tennessee and the North Carolina State University covers this effort. Through the STC Educational Program, the NCSU Department of Civil, Construction, and Environmental Engineering will add to its cadre of graduate students working in the transportation safety area. Without competitive support, the students will likely not study in this critical discipline or they will attend other universities. Besides the usual recruiting approaches for graduate students, NCSU will look to its promising undergraduate transportation students and involve them early in research internships. By nurturing our students we hope to recruit them as graduate students. We also use the educational funds to support second career professionals. Past second career students started in physics, meteorology, computer science, forestry, economics, statistics, operations research, and other fields. Then they became interested in transportation systems and started our graduate program and their new careers. NCDOT has adopted the Mechanistic-Empirical Pavement Design Guide. The implementation of this new pavement design process requires traffic data resources to provide the vehicle traffic load spectra needed for each pavement design. Load spectra derive from historical seasonal truck volume patterns and axle loading patterns and load spectra forecasts over the service life of a design. The expected results of the research will describe what detailed base year traffic data to collect (i.e., the data most sensitive to the MEPDG process), how and where to collect the traffic data in North Carolina, and how to develop forecasts. The principle objective of the research is to improve NCDOT?s understanding of the manner in which trucks are using the state highway system, overall and on a regional basis. Better truck trip profiles are needed to understand the extent to which heavy trucks in particular are using the state?s various categories of highway, from rural secondary roads to urban interstates. Current profiles provide only a coarse sense of the annual truck traffic by vehicle class. Pavement and bridge engineers need a better sense of truck weights and axle spacings. Investment decision makers and planners need a better picture of truck volumes, trip distances and weight distributions by highway class and route category. To help meet these needs, this project aims to create better truck trip flow profiles, especially for heavy vehicles, particularly those that need permits, by analyzing data that has been or is being collected. The Dwight David Eisenhower Transportation Fellowship Program has granted round-trip travel expenses for Elizabeth M. Runey to attend the Transportation Research Board in Washington, DC, during the time period Aug 16, 2005 - Aug 15, 2006. The primary event will be attendance at the TRB Annual Meeting scheduled in January 2006. Estimated costs are $1500 including travel from Raleigh NC to Washington DC, per diem, lodging and conference registration. According to the Grant Letter, "Any remaining funds after TRB expenses may be applied to the student's tuition or a living stipend." US DOT, NCDOT and other agencies recognize the cirtical impacts of truck traffic on pavement and bridge design and maintenance. The evaluation of transportation projects for feasibility purposes can be a time consuming and difficult process. Over time and a variety of projects, the porcess can become very inconsistent. The north Carolina Department of Transportation desires a computational tool that will provide a consistent methodology for quickly evaluationg costs and benefits for various transportation projects and proposed amendments to programmed projects. Currently, the NCDOT uses the benefits Matrix Model to perform its project evaluations. This model is simple, fairly user friendly and has a low data requirements. The benefits Matrix Model evaluates user benefits and some costs. However, there are not planning, design, regulatory compliance, construction, operation or maintenance costs considered within the model. Without this cost information, there is no easy way to readily identify projects that are obiously economically efficient or inefficient. Therefore, the NCDOT is in need of a new tool that has the full functionality of the Benefits Matrix Model, but includes petinent costs associated with transportation projects. The Benefit-Cost Analysis Software for Transportation Planning described in this proposal is designed to fulfill the need for a new computational tool. This project proposes to develop a user-friendly Benefit-Cost analysis tool that will consistently evaluate costs and benefits under a life-cycle costing framework.